I am at a loss at how to open this week's column and am going to talk about what has been consuming my mind for the past week. Despite a pile of papers to grade, I have devoted much time to the Cards Against Humanity 10 Days or Whatever of Kwanzaa puzzle. It motivated me to create a Reddit account and I have been trying to contribute even the tiniest bit of information to the team assembled here. Once again the folk at CAH are delivering wonderful Christmas surprises and I feel good knowing how many intelligent individuals are collaborating to complete this insanely difficult puzzle. 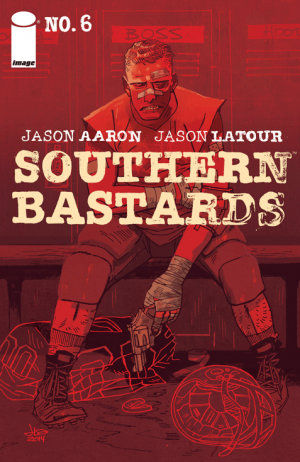 This week also delivered some great comics and I am truly impressed with how Jason Aaron has moved Southern Bastards forward in this new arc. Sorry for the lame segue. Southern Bastards #6 - I was quite curious where they were going to go with this series after the first arc. Last issue when I learned we would gain more insight on Coach Boss and they tried to make him a sympathetic character I wasn't sure. The man was pure evil in the first arc and I didn't want to feel sorry for him. I wanted him to act that way because he was a jerk, not because he had a tragic upbringing. Well curse Jason Aaron for writing such a good book that makes me feel sorry for someone as vile as Coach Boss. This issue sheds more light into his career as a player for the Running Rebs and a glimpse of what his home life was. I didn't think I could possibly like this arc more than the first, but I am quickly beginning to think its superior. 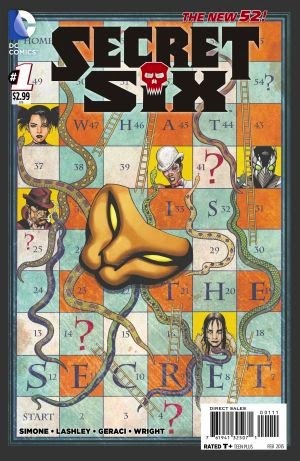 Secret Six #1 - Knowing nothing of the original Secret Six, I found this new title from DC (whatever happened to 52?) quite intriguing. Some secret organization is kidnapping supers and confining them in some sort of chamber for experimenting on. The mix of the characters is interesting and the premise seems just fine. While I remain in the dark in terms of who is there and for what purpose, I enjoyed the art and writing and will check out the second issue. 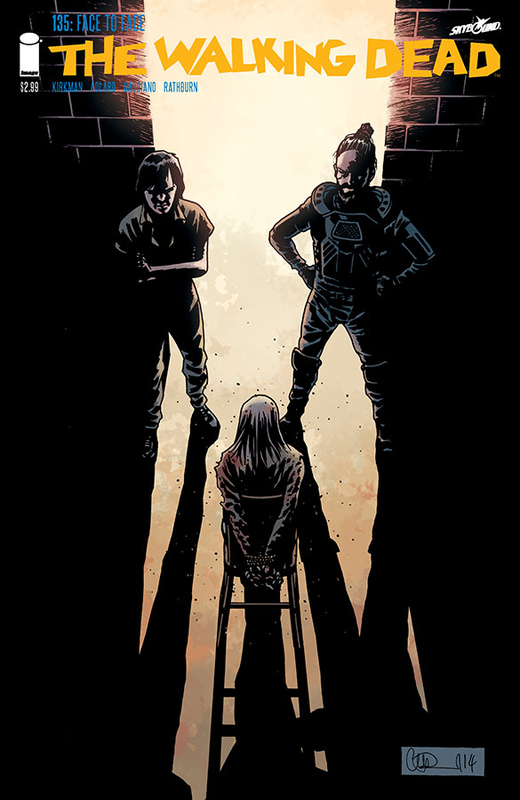 Walking Dead #135 - Hard to believe that this series remains as good as it is through 135 issues. I have been up and down on the new arc, but I am beginning to see (I think) where it is going and I'm on board. Jesus is interrogating the humans who were dressed up like and living with the walkers and I think the antagonists for this arc will be members of a cult. Carl's actions from last issue have created tension amongst the group and I feel he will feel outcast and seek the comfort of the cult. Well done Mr. Kirkman. 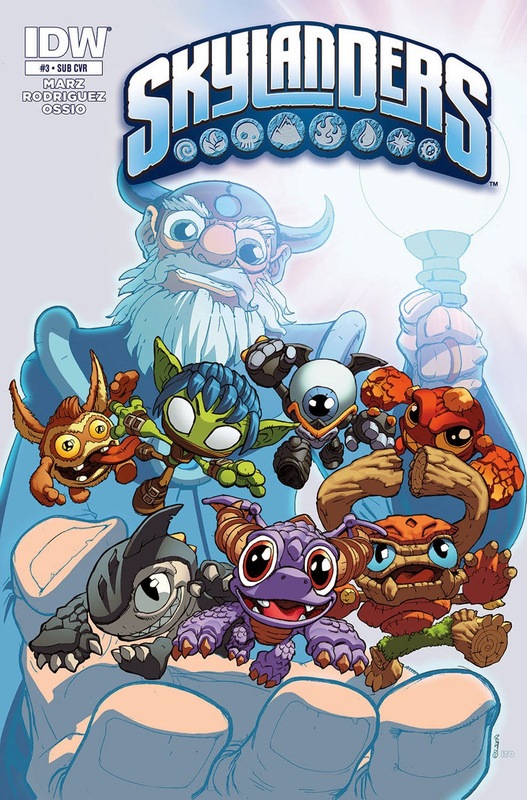 Skylanders #3 - IDW continues to do a nice job with the Skylanders license. While the stories are nothing to write home about, they are entertaining, accessible to young readers, and provide a much needed backstory to the various residents of Skylands. My 7 year-old is all about this comic and he takes the information from the book and applies it when he plays the video game or when he just plays with the toys. It's great to have a book, toy, video game connection. Highly recommend to any fan of Skylanders or anyone looking for a great all-ages book.